Did you hear me when I just screamed that I loved family portraits in Perdido Key? I bet you did because I just screamed it at the top of my lungs. The magic of Perdido Key offers the perfect backdrops, and the atmosphere is super relaxed. We had a great session last night with these two little boogers. What cute and awesome little ones. They were so happy and just full of spirit. Perdido Key has a type of magic about it, happy smiles linger on this little island. These two seemed to be heavily sedated in its magical spell. Not only did the portrait session go off without a hitch, we searched high and low for the elusive Perdido Key mermaid, and we all seemed positive when we spotted Peg Leg Pete, the pelican. Under the magic of Perdido Key, we tend to allow our sessions to turn into more fun that works. Kinda like that children's book where the mother wishes the child more, the Key always seems to wish us more smiles than frowns. Could it have something to do with the sand? Possibly, it has our vote. Nothing better to brighten a vacation that a little sugar white sand to spread the cheer. Needless to say, we are under the spell, every second at the beach is agony for the anticipation of the next session. Like a sailor on a ship, we only have sea legs on concrete. The beach is our home, and we create our best art when we are in the right surroundings. That is why we would love to extend a hand and say hello to your out there on the ole intra-web thingy. We would love to share our magic with your family and make your acquaintance in the sand. 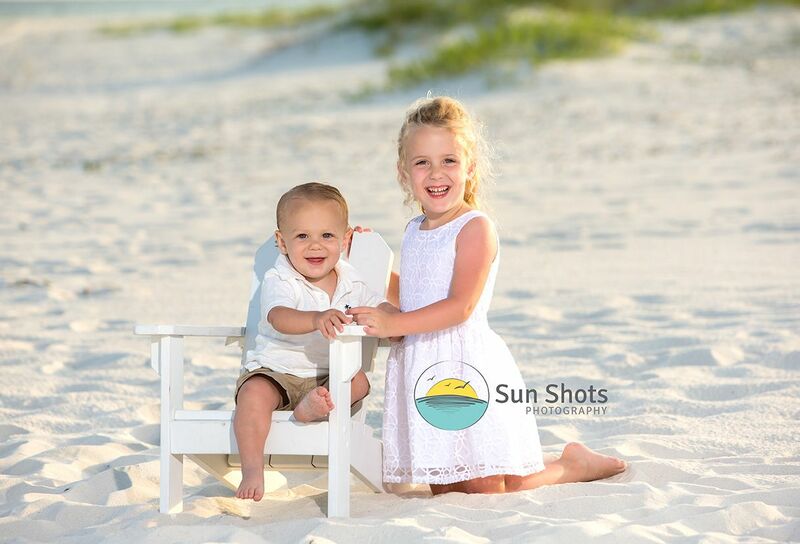 We offer family portraits in Perdido Key, and we want to share our beach art with you. Give us a call today, I am positive we can help make some magic happen, mermaid hunts free of charge, OF COURSE!! !